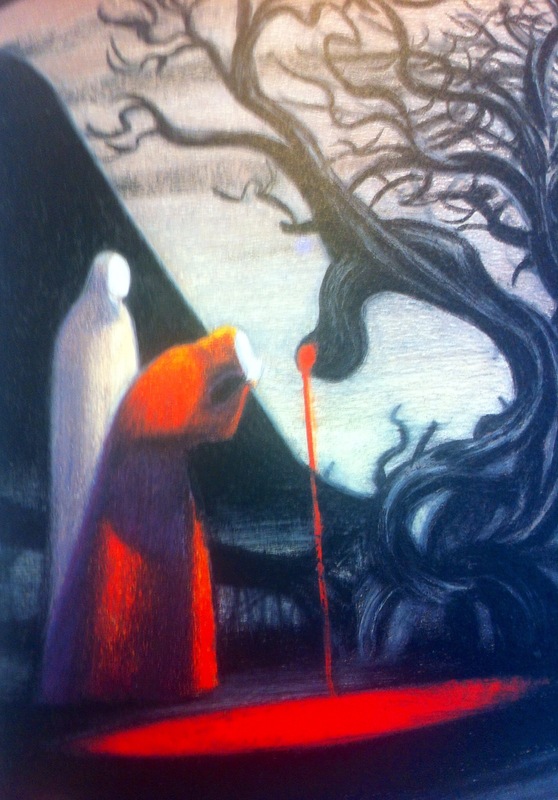 I’ve recently been oohing and ahhing at Lorenzo Mattotti’s illustrations for Hansel and Gretel, as written by Neil Gaiman (Toon Books, 2014). One look you’ll see why, it’s a real treat. The murky forest is rendered in thick-as-syrup black ink as we delve into each image, navigating the meagre white space and dappled half-light – just as the eternally plucky siblings must. Anyway, I had hoped to find a copy to drool over free of charge in the British Library, where I’m researching for my current project, black and white illustrations for an educational book of Icelandic Sagas. 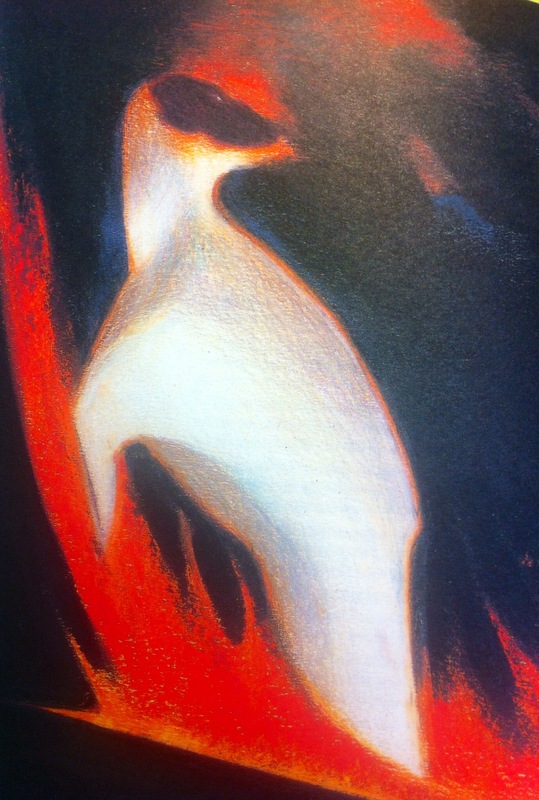 Mattotti’s treatment of the Grimm classic is black and white book illustration of the highest order. Absorb absorb absorb! Sadly I didn’t find it there thanks to either the British Library’s clunky website or my significantly more clunky research skills. 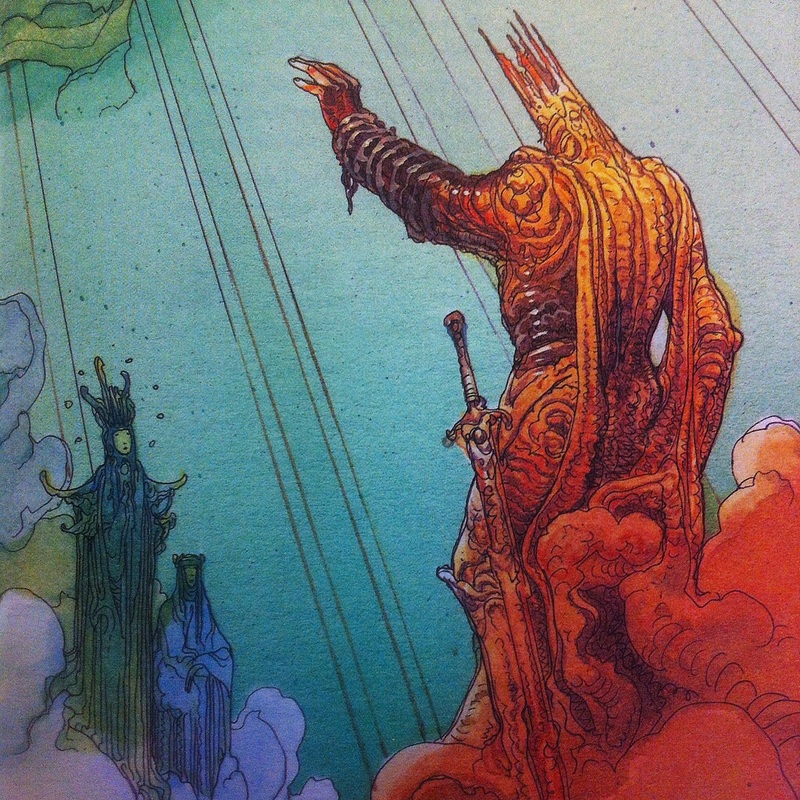 But in the searching I did stumble upon the Milanese Nuages Gallery editions of the three poems comprising Dante’s Divine Comedy of 1321: Inferno, Purgatorio and Paradiso, illustrated by Eisner Award winner Mattotti, legendary graphic designer Milton Glaser and sci-fi fantasy comicbook demigod Jean ‘Mœbius’ Giraud respectively in 1999. Beautifully designed and printed they are too. In Dante’s Inferno, the author’s epic journey into Hell guided by the Roman poet Virgil, Mattotti’s images are very different to his Hansel and Gretel, but no less breathtaking as you’ll see below. I won’t pretend, that was a wonderful surprise to someone discovering his work anew. 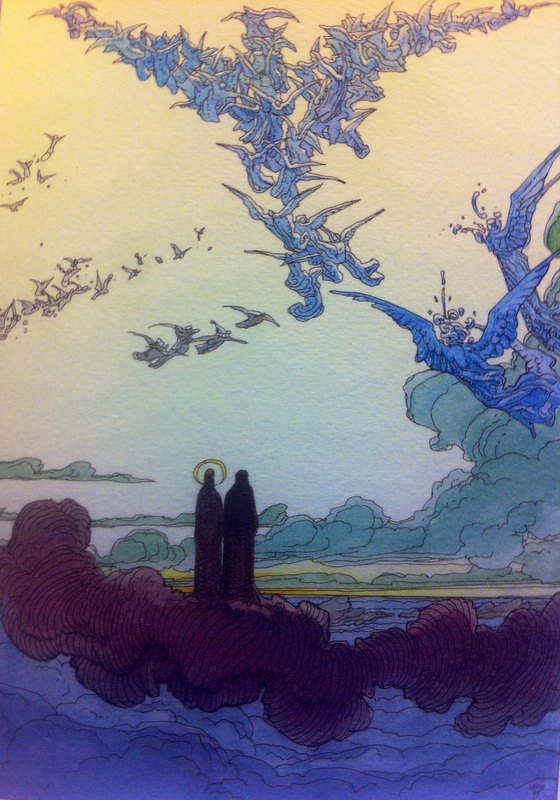 In contrast, Mœbius’ hand on Paradiso is instantly and pleasingly recognisable to those that know him already, but I figured what a lovely opportunity to investigate his work with the purpose of gaining insight from his inking technique. 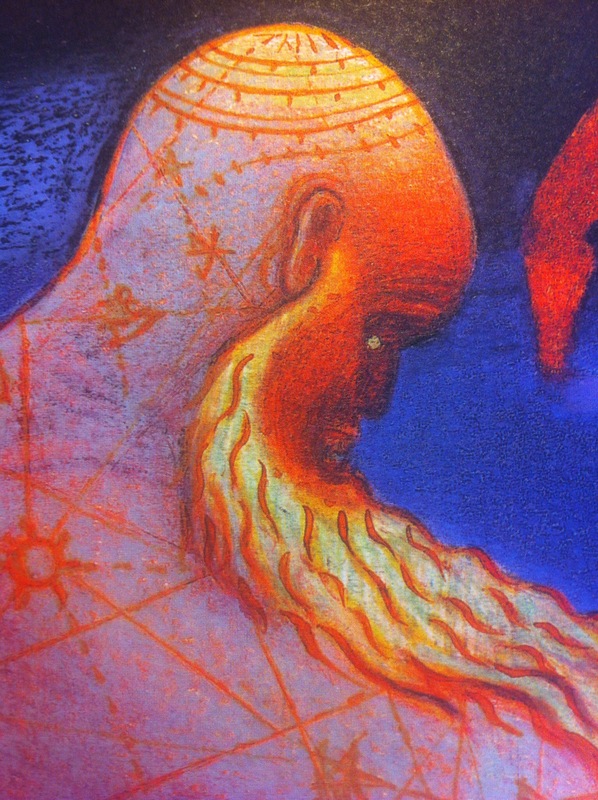 Just a note on Milton Glaser’s Purgatorio … it really is stunning – his abstractions and patterns are amazing. But I found less inspiration and relevance there for my current concern so I’ve elected to not include him here. There will be another time Mr. Glaser. There are no Icelandic settlers in the Divine Comedy (aw!) but I’ve been able to delude myself that it’s not procrastination to be delving in as brainfood for the myriad Icelandic Sagas. Written in 1321 it’s actually approximately contemporaneous to many of the Sagas as first written (why, they’re practically vellum-buddies), true epic poems, and are bona fide national literary treasures, great works of their age and will be read and revered unto the very end of us. 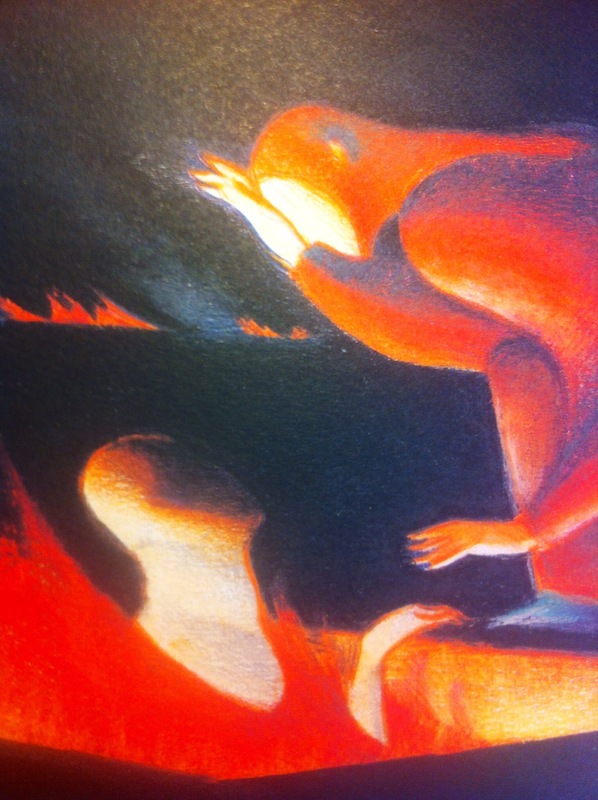 So in true Age of Entitlement style, I’ve nabbed a few admittedly shonky phonecam pics for portable reference and sharing purposes – but I’ll be buying these books, milestones of exquisite book illustration and design. 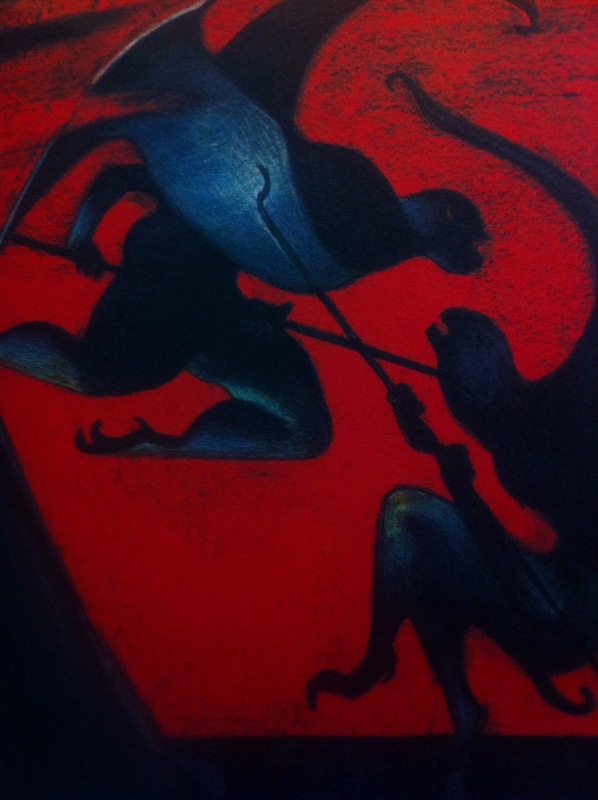 Lorenzo Mattotti, Inferno What I loved about Mattotti’s Hansel & Gretel was how he asked us to peer through thick black ink to discover the fates of the dramatic personae playing out in the few narrow white spaces he afforded us. Not so in Inferno. Oh no. Here the characters fill the page, illuminated in primal, elemental colours against rough endless voids. 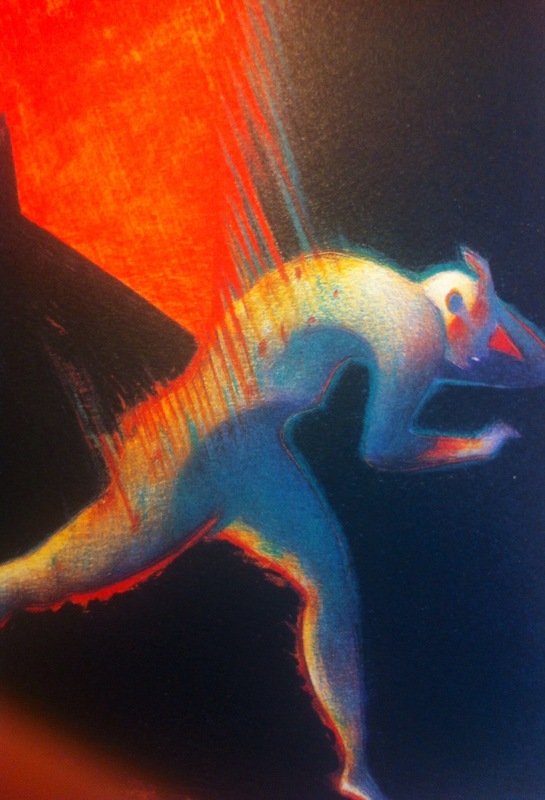 The figures of Dante, Virgil and the Devils they encounter are sculptural, all gesture and light, defined by lakes of fire and cold voids and truly epic. 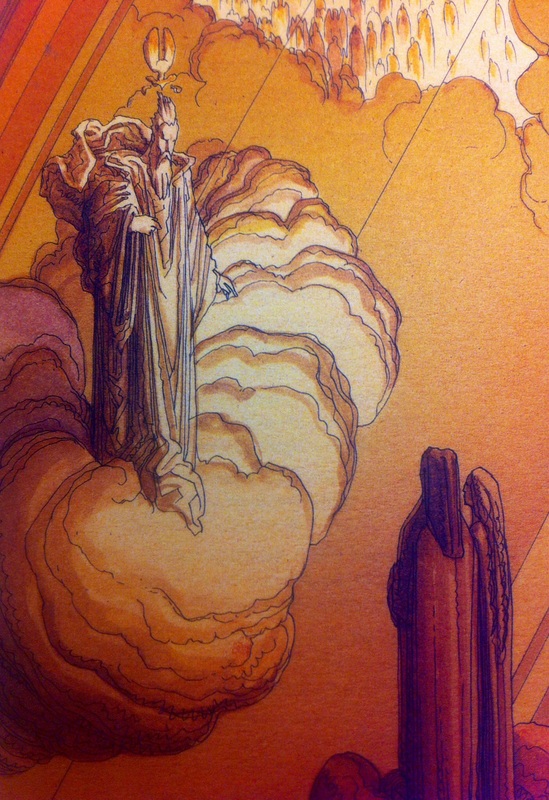 Mœbius, Paradiso I’m so drawn to Mœbius’ elegant compositions, colours and the free-flowing, gorgeous swift ink in long waves and ripples form cloth, hair, marble and cloud alike – he offers us these views of alternate worlds nigh effortlessly. 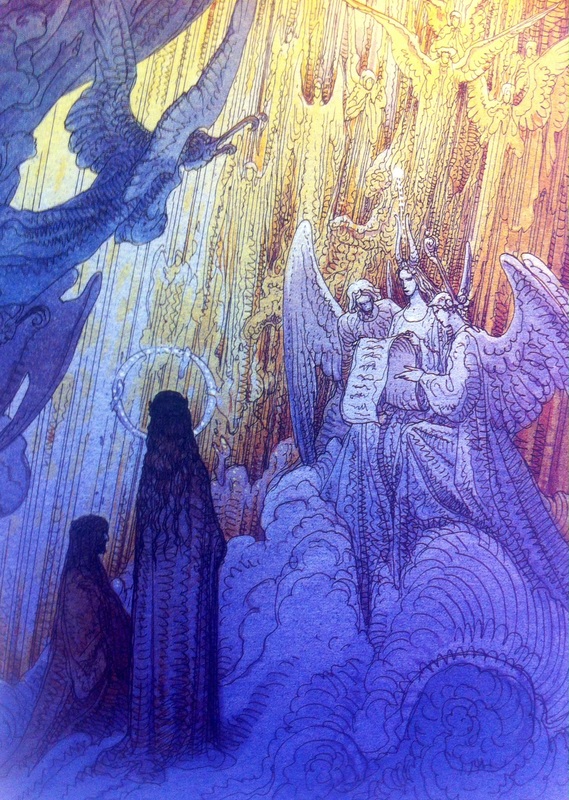 So yes his angels are loose, mere suggestions, but we’re left in no doubt as to their number and power; all Mœbius’ heaven rendered gloriously as ink scratch and wash. And all the while, repeating myself gladly, the elegance of every figure – I’m hard-pressed to recall another illustrator whose figures’ gestures speak to such modest dignity.